Home » What if it Rains? Every business has, as one of it’s tasks, the need to dispel some of the misconceptions surrounding their work. As a window cleaner, the biggest myth standing in the way of an efficient operation is the idea that rain negates a good window cleaning. Customers will frequently seek to reschedule their cleaning due to inclement weather in the forecast, which amounts to constantly with Cape Cod’s fickle weather. If I have such a customer scheduled for Wednesday and they find out that it will rain Friday, they wish to reschedule because they believe that they will only get two days of clean windows – a bad bargain if only that were true. The fact is, that rain does not make windows dirty. I will say it again for emphasis, rain does not make windows dirty. Rain is, in most cases, very pure water. It has been naturally distilled by the evaporation and condensation cycle and is essentially pure H2O. 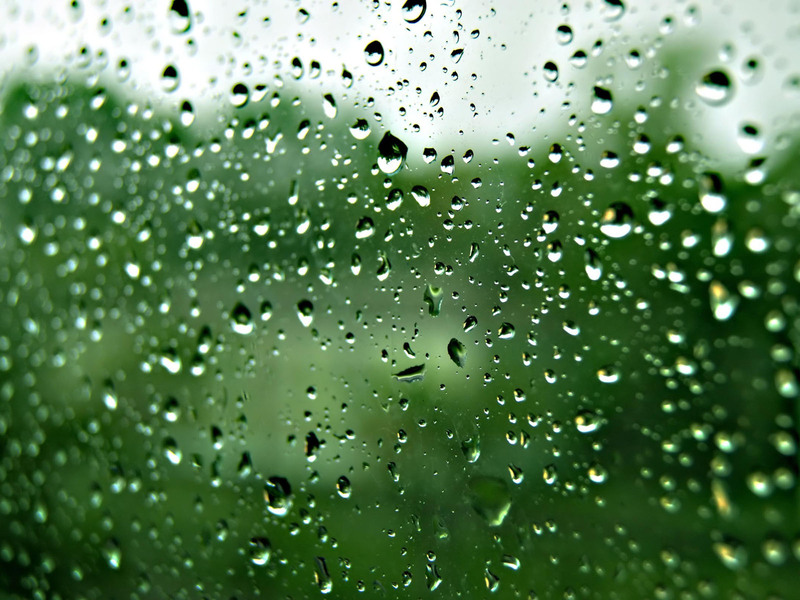 Pure water, unlike tap water, does not contain any minerals and so will not leave streaks and deposits on your windows. Now, occasionally we will experience a severe Nor’Easter that whips salt-laden ocean spray into the windows of coastal houses, and these windows will be re-soiled with salt residue. But this is a rare occurrence. The fact is that 99% of the time your freshly cleaned windows will stay clean just as long if it rains as they will if the weather is dry.